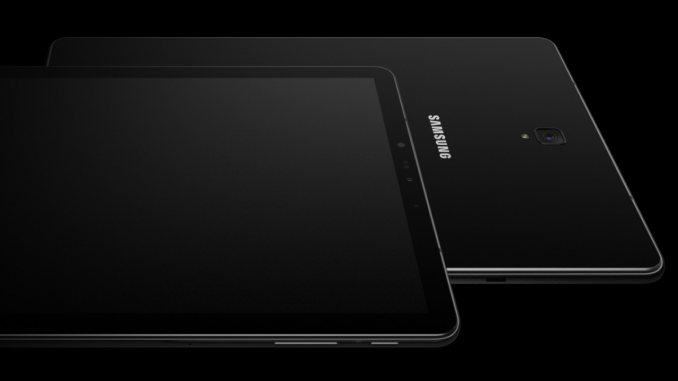 The South Korean Giant is reportedly working on its Galaxy S5 Tablet which will be coming with Qualcomm’s latest flagship chipset. This high-end tablet is said to be featuring Snapdragon 855 SoC under the hood which will be coupled with Kryo 485 CPU and Adreno 640 GPU. Apple holds a major part of the tablet market since other Android makers do not provide high-end tablets. Since this upcoming device is going to be a high-end device, we can expect it to be coming out of the box with Android 9.0 Pie operating system with latest One UI on top along with the support for Samsung Pay and Bixby. Although the device might not sport a great camera it should be decent enough to make good quality video calls. The predecessor of the Galaxy S5 tablet was launched just before the launch the Galaxy Note 9 and considering this Samsung could launch the latest tablet in the next couple of months. A few weeks back, Samsung launched its Galaxy Tab S5e that came with 10.5-inch Super AMOLED display with WQXGA (2560 × 1600 pixels) resolution and 16:9 aspect ratio. It is powered Qualcomm’s Snapdragon SoC along with 4GB RAM and 6GB RAM options. It will also come in two different storage options like 64GB and 128GB and the pricing varies accordingly. Furthermore, it comes with a 3.5mm audio jack and has AKG tuned quad stereo speaker setup along with a 13MP camera on the rear and 5MP sensor on the front. The Galaxy Tab S5e came out of the box with Android 9.0 Pie and came with a massive 7040mAh Battery on the back to power the tablet. We can expect a similar camera setup on the upcoming Galaxy S5 tablet may be along with a secondary rear camera or the support for a bigger main camera sensor. More details about the tablet should know when the company decides to unveil the device. Comment in the section below if you have more queries and stay tuned to PhoneRadar for more.